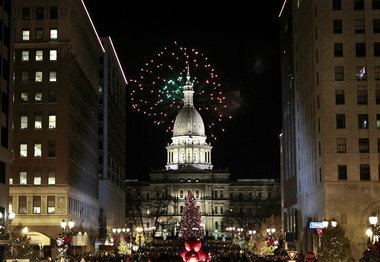 Now in its 28th year, downtown Lansing officially kicks off the Holiday Season this Friday, November 16, 2012 at 6 p.m. for Silver Bells in the City. Downtown Lansing is the scenic backdrop for this classic event that always brings out the community in droves and truly showcases the best of Michigan&apos;s Capital City. From the electric light parade, to a big community sing, to the official lighting of the State Holiday tree at the Capitol Building this event will get you in the holiday spirit in no time. Greater Lansing kicks off the Holidays right with Silver Bells in the City. DO get downtown in plenty of time for the parade. This event is popular and you want to get a good spot to see the floats go by. DO NOT grab a seat on the curb downtown early Friday morning trying to get the best spot EVER, as you will be frozen solid by the time the event starts. Yes, I say this from experience. DO go to the Peanut Shop downtown and get some warm peanuts in the shell to eat while you&apos;re downtown. DO NOT bring a gigantic stroller, wagon and diaper bag down to the event with you (one is okay, but all three is not good). Like I said, the event is crowded and you&apos;d have an easier time leading an elephant through the crowd than toting all that child-care gear. 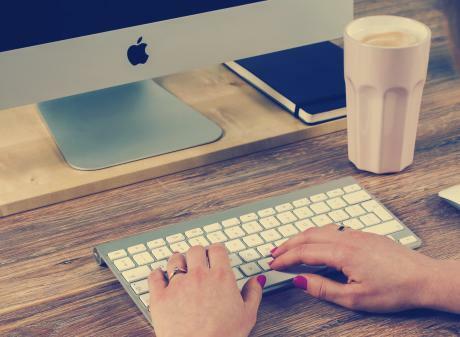 Yes, Christmas is for children, but lugging stuff is for parents, so make it easy on yourself! DO dress super warm. There is a lot to see and do so you&apos;ll be outside for a long time if you do it right. DO NOT have your child ride on your shoulders for 4 hours straight. You will be three inches shorter when you get home that night. Again, experience speaking here. DO fight the cold weather and ensuing weariness to stay for the lighting of the big tree and fireworks that follow (weather permitting). It&apos;s literally a "blast." DO NOT waste valuable time trying to get the best parking space on earth. All that driving around wastes time you could be seeing the sights and prime downtown parking spaces are tough to get even when a huge event is not going on. Park and walk a ways, or better yet ride the CATA into downtown Lansing and then ride it back to your car when the event is done. The kids (and your feet) will love it. So those are my suggestions, take them or leave them but believe me when I say, this event is awesome, and you simply can&apos;t miss it. Make some holiday traditions like I have and be part of the 28th Annual Silver Bells in the City.